FOLLOW US HERE FOR OUR NEWS! Vote for our team!! 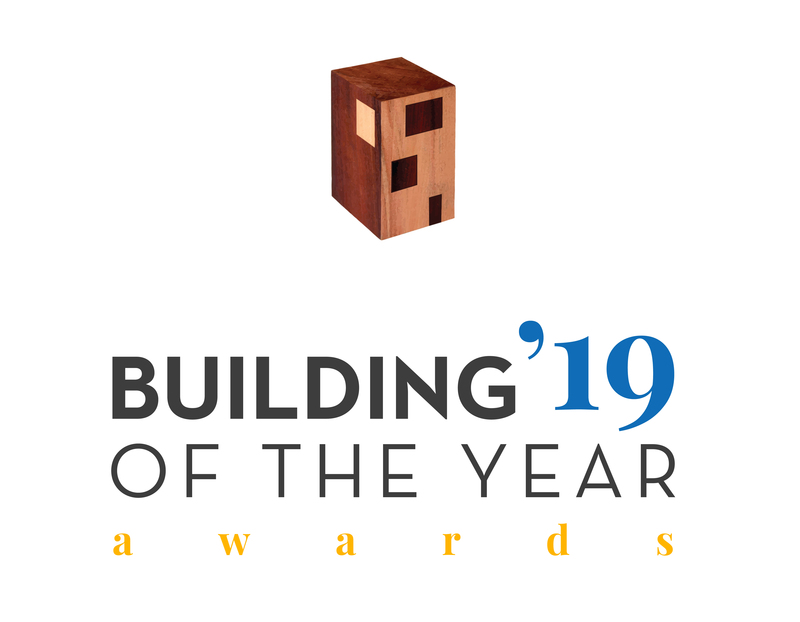 ArchDaily has just launched the 10th edition of its Building of the Year Awards and Coachhouse has been nominated! Please vote for Coachhouse in the Residential Category! Vote here! Thanks! 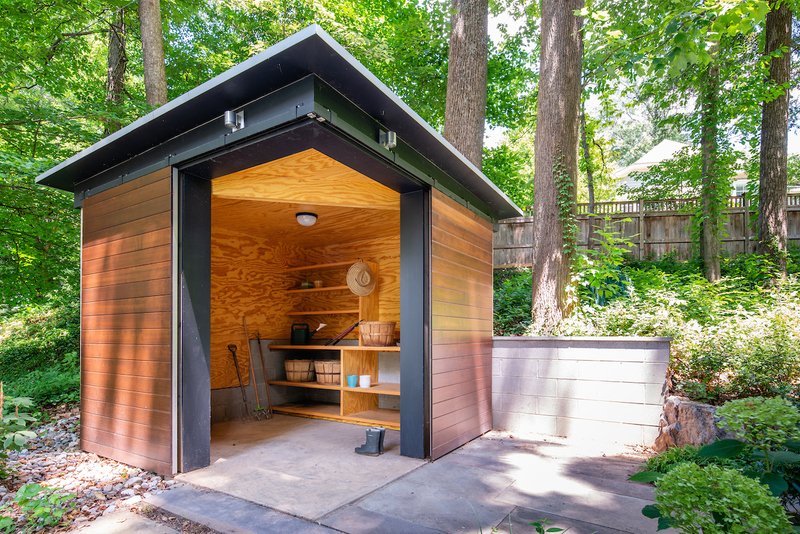 Treehouse Shed was featured in this week’s featured roundup. Read about it here! Treehouse and Treehouse Shed were featured on Archello today! See more here. 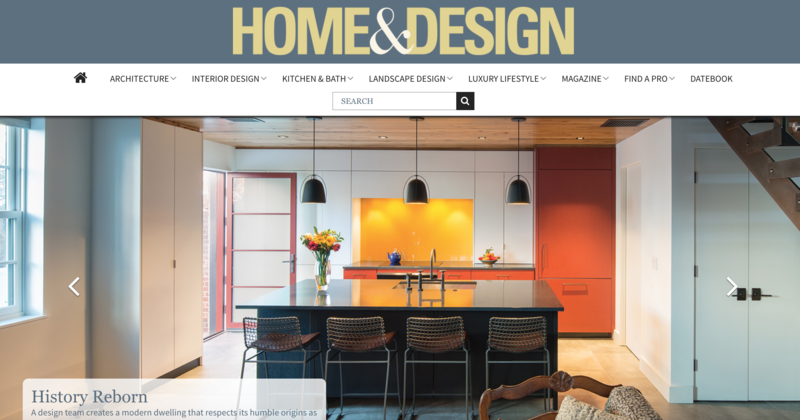 We are thrilled to have won Best of Houzz for both Design and Customer Satisfaction! See our Houzz profile here! TreeHouse shed was featured on the cover of this article on Dwell today! See right for the site of our next new project — we are looking forward to sharing updates, come back to this page and check it out! Treehouse Shed was featured on Houzz today. See more here! 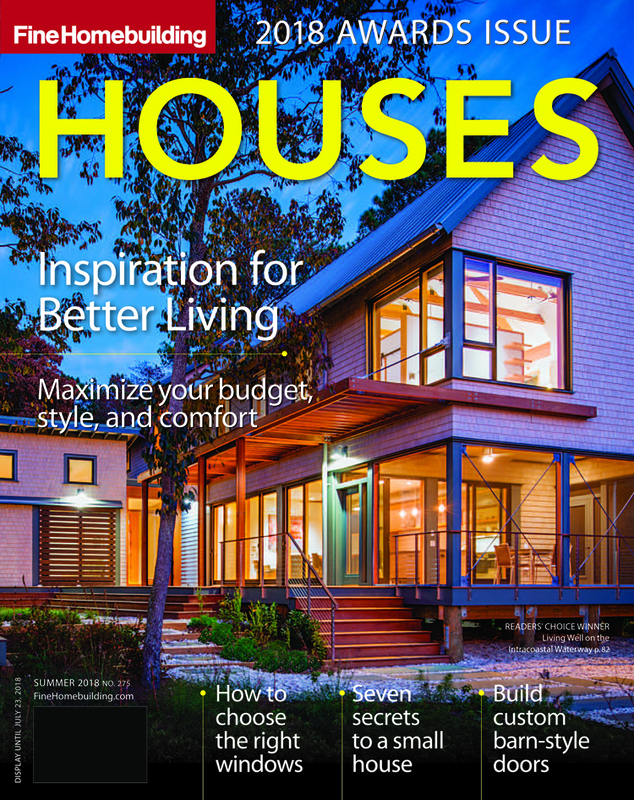 Coach House was published in Fine Homebuilding! 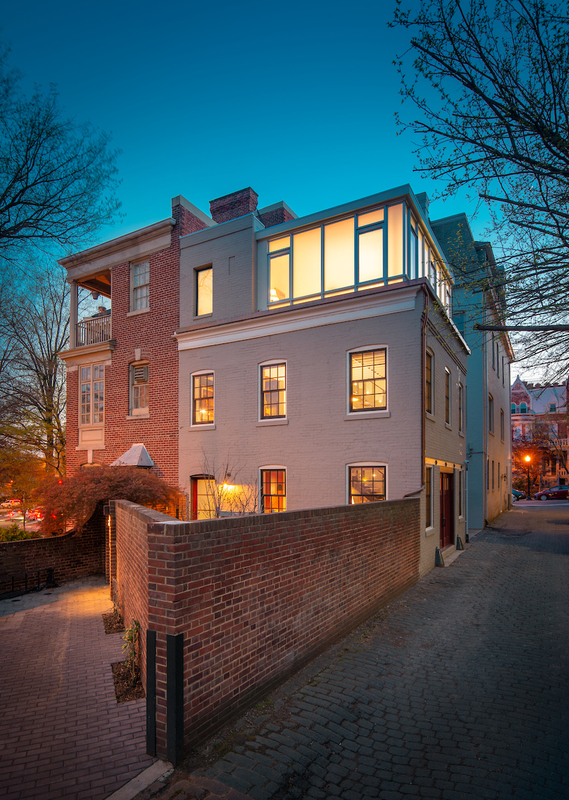 Saltbox exterior was photographed! And the project passed final inspection! And on 10.3, was featured on 88DesignBox. See more about the project here…..
Treehouse Shed was featured on DwellEditors’ Picks today. See the project on Dwelland here! 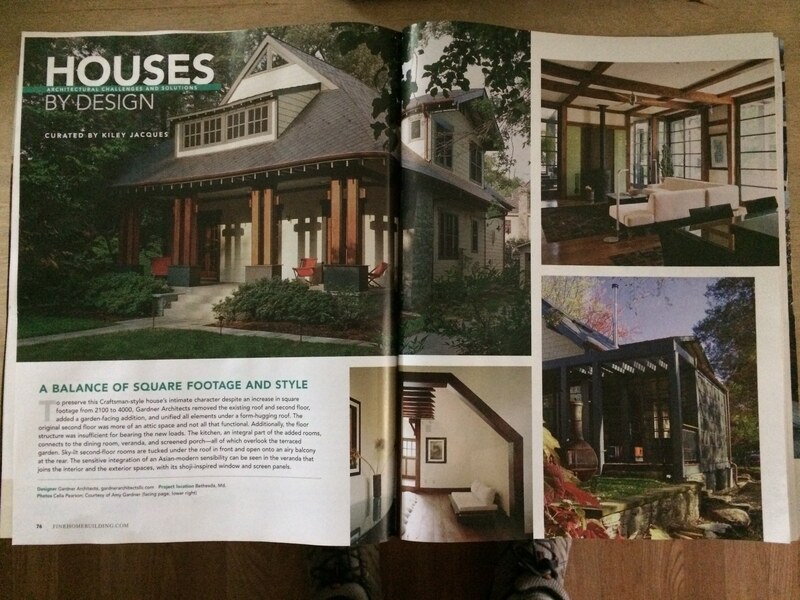 This past Thursday, we celebrated Coach House and its publication in Home & Design at its Fall open house! See more about the project here. 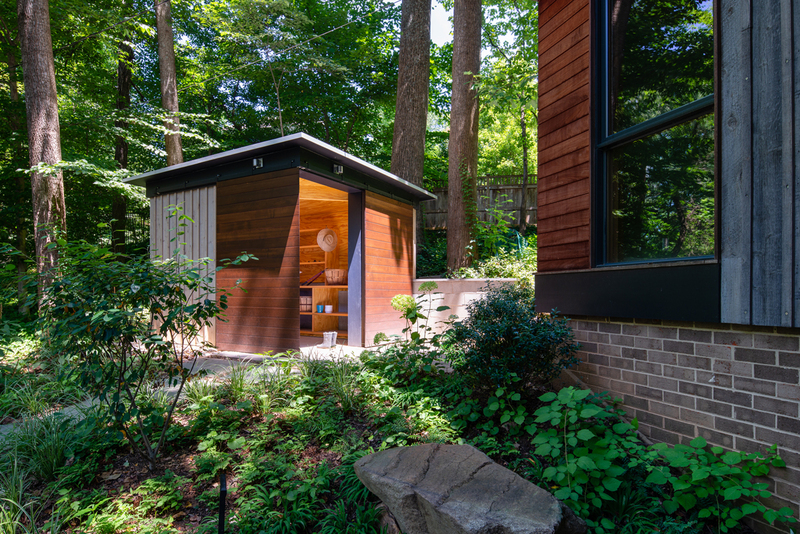 Check out John Cole Photography’s images of our Tree House Shed. Treehouse Shed is part of a masterplan that manages stormwater, creates habitat for indigenous species, and selectively embraces trees thereby preserving the quality of the community. Our strategy saved the existing building, preserve the site and the existing trees contributed to the preservation of the neighborhood history. See more, here. Forest House was featured on Inhabitat! 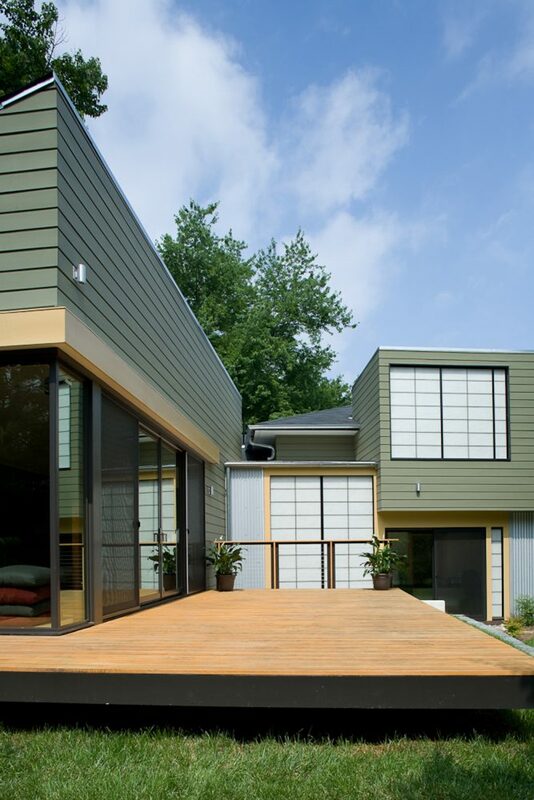 “Set on the edge of a forest conservation area in central Maryland, the Forest House is a contemporary home integrated with a wide variety of energy-efficient features. Local design firm Gardner Architects LLC designed the spacious home that responds to passive solar principles and rises to the height of the tree canopy to capture surrounding views. The sustainable technologies include geothermal energy, rooftop solar panels and rain gardens, as well as low-tech solutions like stack ventilation.” Read the full story here. Coach House was published on AECCafe! See it here! 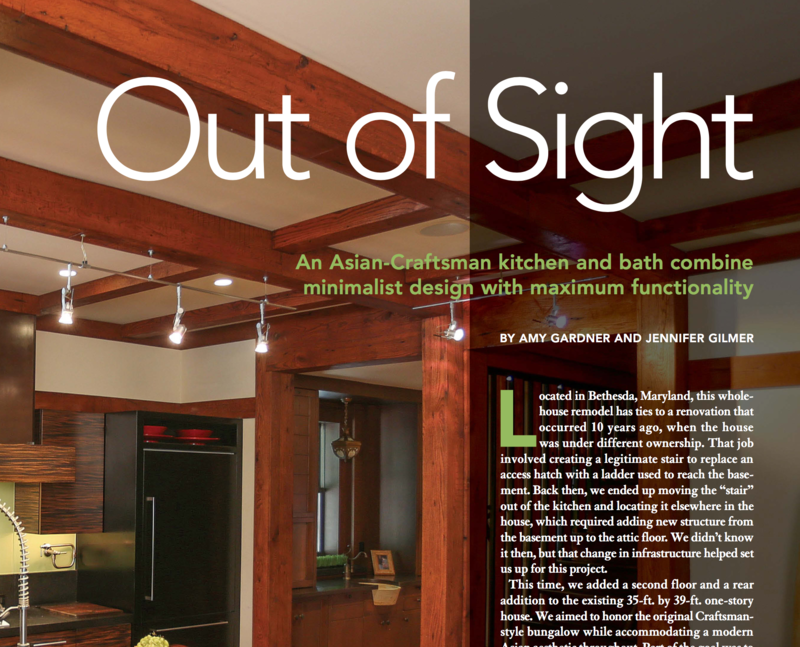 Craftsman TeaHouse is featured in the Fall issue of Fine Homebuilding …. scroll through images to the right, and stay tuned for link! Just in time for the 4th holiday, we met our Design Development deadline for Two-In-One! 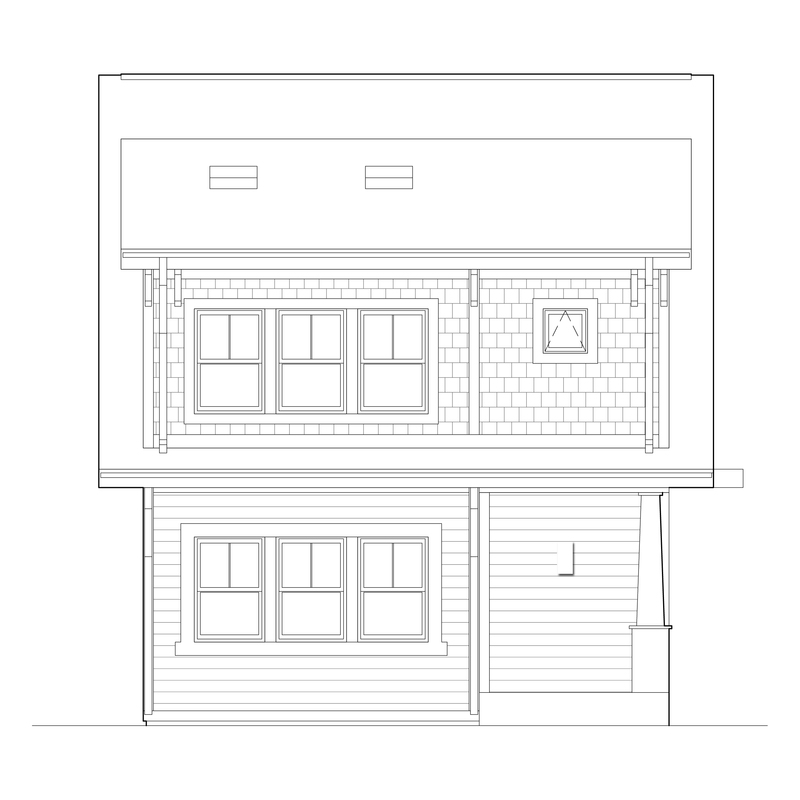 A single family home with an Accessory Dwelling Unit, Two-In-One highlights universal design features and principles, and a landscape that facilitates access. Fifties Split was featured on Archello today — visit us there! 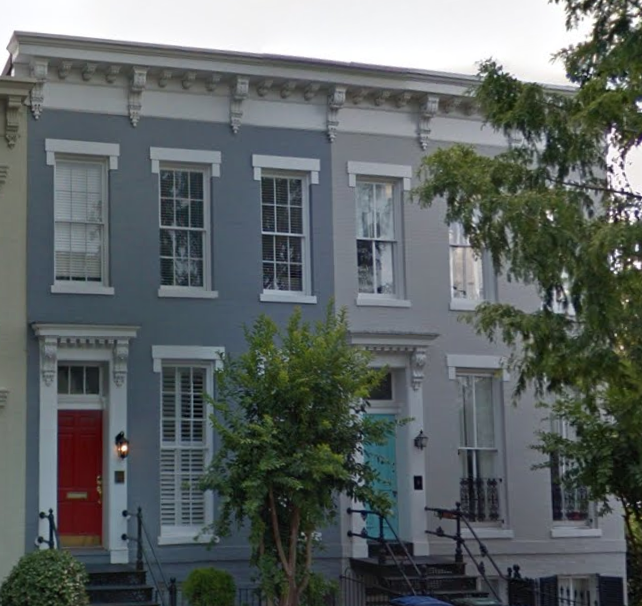 Together with our colleagues 1200 Architectural Engineers, Jennifer Gilmer Kitchen & Bath, and Jordan Honeyman Landscape Architecture, we are beginning another transformation of a rowhouse on Capitol Hill. Check out the picture to the left by scrolling through, and stay tuned for progress! Deckhouse Masterplan moves into the next phase. 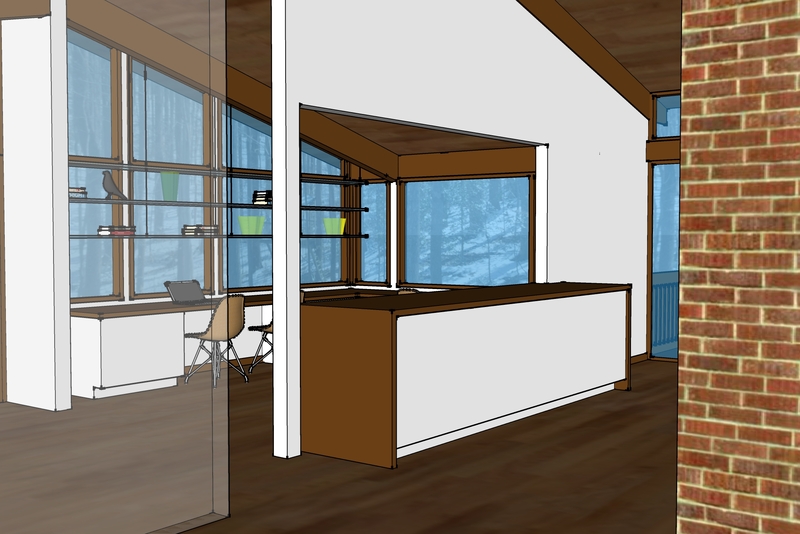 Comprising interior and exterior renovations and an energy study, the Masterplan includes proposals to open up an already very open timber framed Deck House. 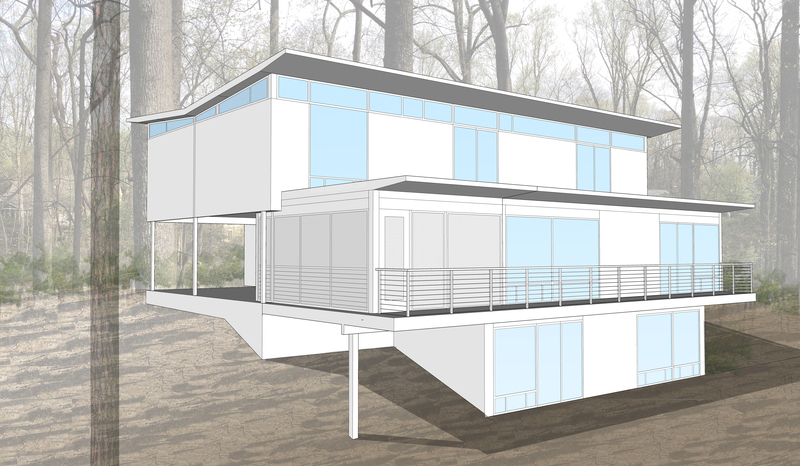 We are embarking on another project involving a midcentury modern home by an iconic entity — yet another Charles Goodman house! 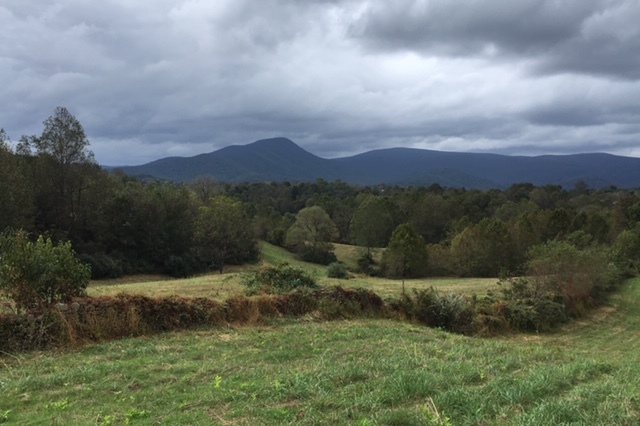 Our 3rd of this era, this project entails the creation of outdoor spaces, decks, and porches that will seamlessly extend the original language. Stay tuned for updates on our progress! Saltbox interior has been photographed. Also undergoing voluntary blower-door testing, despite being of 1920’s vintage, the renovations and additions helped it to achieve performance demanded of new construction per the 2015 IECC! Thank you to Taylor Concepts Inc for a superb job in crafting this project, 1200 Architectural Engineers for making the structure integral with the architecture, and to Jordan Honeyman Landscape Architecture for the brilliant landscape master plan. And of course thanks to John Cole Photography for making the spaces come alive. Coach House was just published on Arch Daily! 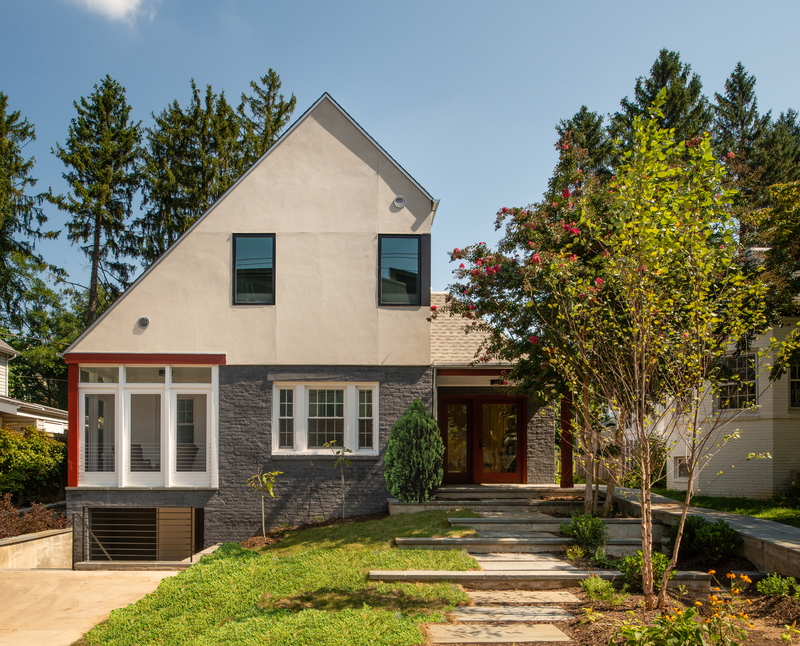 Thanks to our great team — our awesome homeowner, general contractor Added Dimensions, and design team Linton Engineering, Jordan Honeyman Landscape Architecture, and Jennifer Gilmer Kitchen & Bath. Capturing the essence and details of the house is photographer John Cole Photography. Our terrace and green roof project just took another step forward! 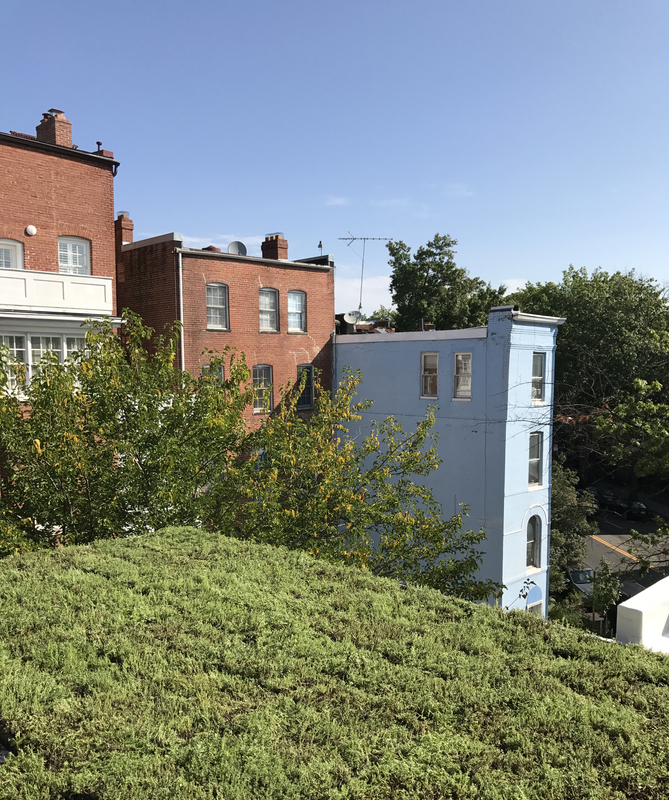 This extensive green roof promises to bring a garden retreat to the third floor of a rowhouse, overlooking the hills of Mount Pleasant! Canal House, otherwise known as Home on the Intracoastal Waterway, along with nine other submissions was selected as one of the projects for which Fine Homebuilding asked its readers to vote for their favorite project. Canal House won! 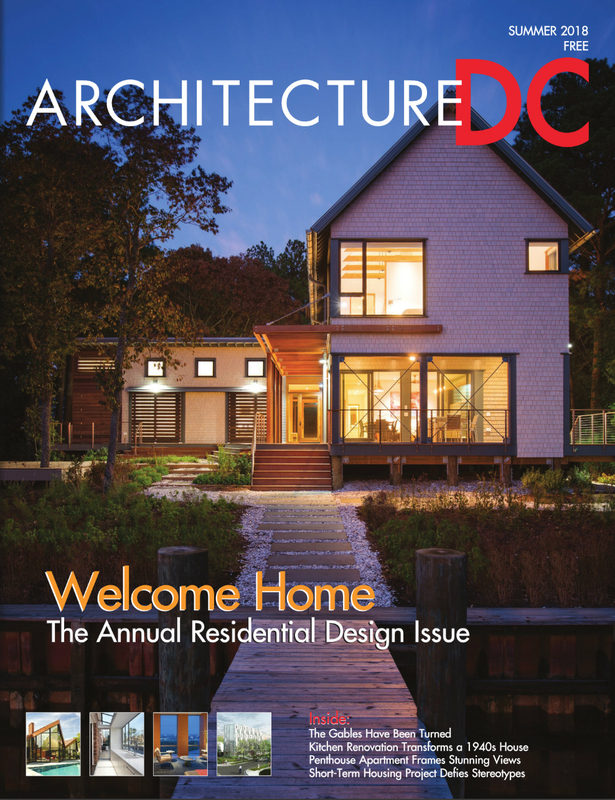 And not only did it win, but it was featured in the “Houses” 2018 Awards issue and made the cover! Thank you so much to all who voted for us! 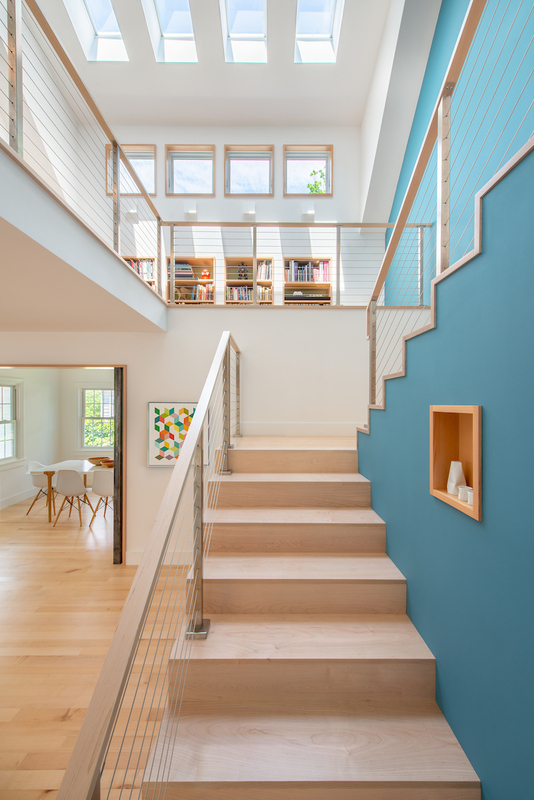 And please join us in applauding our great team: fabulous owner; general contractor Beachwood Inc; structural engineer 1200 Architectural Engineers; landscape architect Jordan Honeyman, and kitchen designer Jennifer Gilmer Kitchen & Bath. Capturing the essence and details of the house is photographer John Cole Photography. Charles M. Goodman (November 26, 1906 – October 29, 1992) was an American architect who made a name for his modern designs in suburban Washington, D.C. after World War II. His 1958-61 development at Silver Spring, Maryland was listed on the National Register of Historic Places, and is known as the Rock Creek Woods Historic District (1). Our project is in the Rock Creek Woods Historic District. The MasterPlan, now complete, comprises interior renovations that will extend the living spaces into the ground floor. Gardner Architects LLC participated in the University of Maryland School of Architecture, Planning and Preservation first annual Research and Creative Practice Symposium on April 13, 2018, in conjunction with the School’s 50th Anniversary! 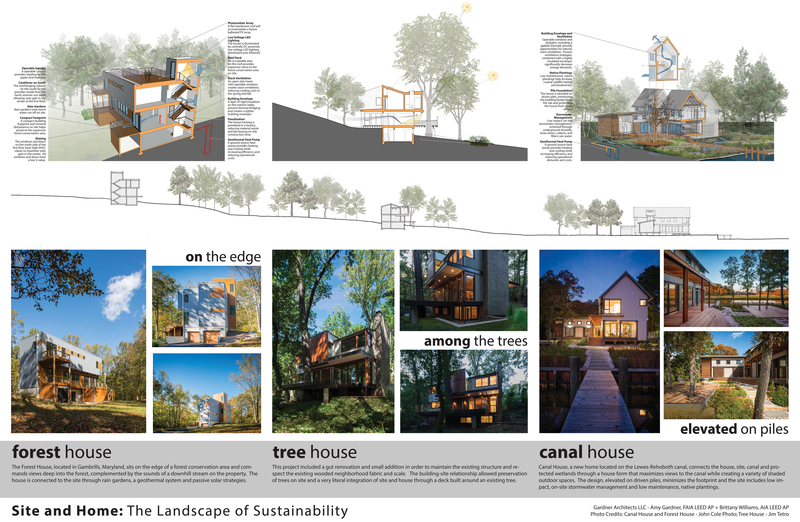 Featuring our work in sustainably-minded passive approaches, our work is entitled Site and Home: The Landscape of Sustainability. Scroll through the images to the right for our submission!